WOW! What an Amazing World! Sunny world - Yes ! Yes! Yes! Atomic tragedy - No ! No! No! Group: Children Health Centre "Uniy Neftyanik"
Here you can find the people responsible for choosing the Artwork of 2006. Tong Cheong Ming, chinese descendent, awoke for Origami already in his childhood. Self-taught folder, not only comes studying Origami in the artistic and pleasant direction as also mathematician, therefore he focuses on Origami as science. Founder and creator of OrigamiRIO - Group of Studies and Research of Origami in Rio De Janeiro State -, located in the Cultural and Informative Center of the General Consulate of Japan. 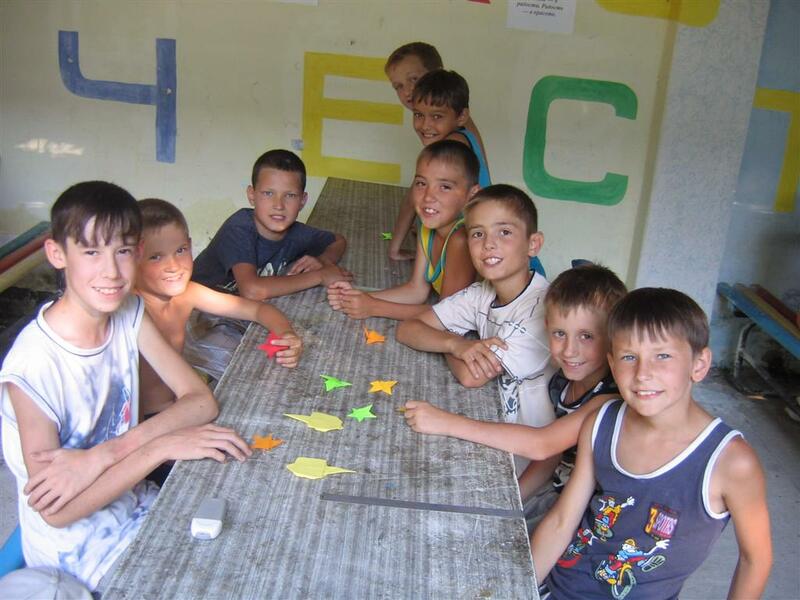 He created some stories for children to be counted together with the foldings (origami storyteller). 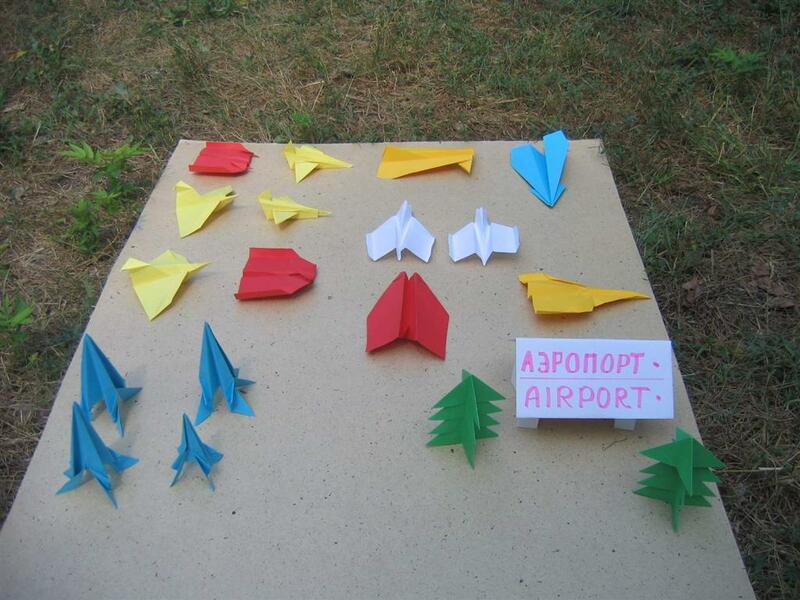 Illustrated and diagramed an origami book (ISBN 8573933747), developed a voluntary work in the Nucleus of Child Activity, the project "Folding, Singing and Playing with paper", promoted by the Service of Applied Psychology to Child in the parks of the city. Coordinated origami exhibitions ("KAMI Exhibition"), origami workshops (Origami For All), origami in educational projects (Japanese Legends in Origami) and lectures about the applications of origami. Participated in Educational TV program (TVE - Sem Censura), interview in local TV (RJ TV - Globo), TV Bandeirantes and UTV (cable TV - Programa Mosaico) and radio program. Worked for 23 years in a Brazilian Oil Company as petroleum chemistry technician, now is retired. The Host of the Origami Peace Tree Brazil 2006 festival in Rio de Janeiro. Guspath Go is my name nick name actually. 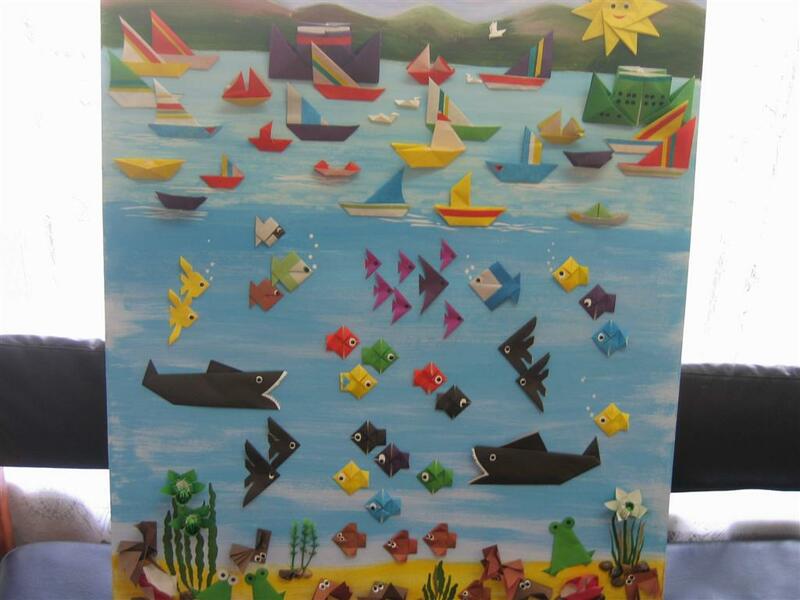 I live in Hong Kong and I was a member of Hong Kong origami society for the past 3 years. I began folding at the age of 18 and I am currently 23 years old. I began creating my personal models around 3 years ago and have been creating mostly fantasy model ever since. I am a Food and Nutritonal Sciences graduate from the University of Hong Kong and I am currently doing my postgraduate degree. Folder since his childhood, but in the early 90s he began to be more enthusiastic. Most of his creations have been published in conventions booklets (USA, England, Spain, Japan, Germany, Colombia, Chile and others) and in two books. 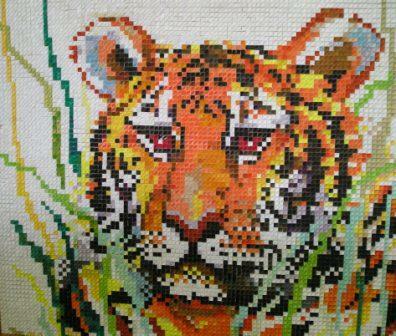 He has been in several Origami USA conventions and in the last Charlotte Origami Festival in 2002. He is a permanent participant in the Origami Peace Tree. Founder and former board member of the Colombian Origami Asociation ACO. He organises every month of November the annual Colombian Convention, in Cali. 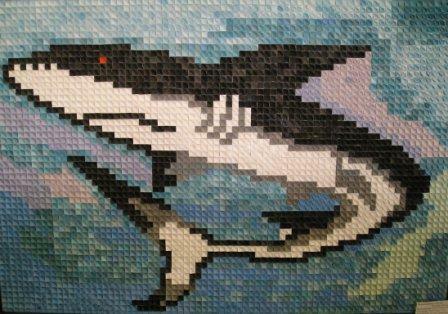 He is the moral father of some origami groups in Colombia and Latinamerica. He has participated in many exhibitions in Colombia and overseas and he teaches origami just for fun and to spread the paper folding activity abroad. When he is not folding, he is an assistant engineering teacher on an university. 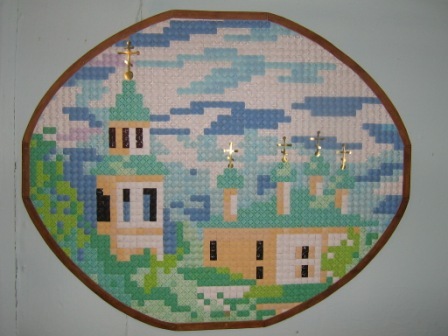 Other of his pasttimes are philately (the topic is origami on stamps) and genealogy. 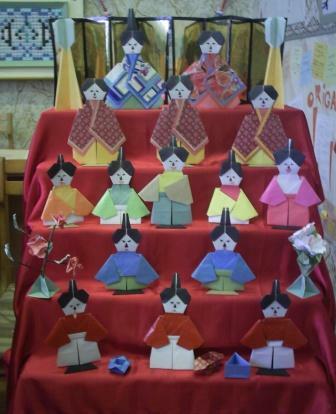 Tomoko Fuse has established herself as the "queen" of unit origami. In this origami style, many identical units are folded, then connected to form an almost infinite variety of geometric constructions, solids, or boxes. Internationally known for her many books describing her own creations, she has travelled to many countries to attend meetings of origami enthusiasts, exhibitions and origami events of all kinds. She is a fine teacher of her origami work and ideas. She lives with her husband, Taro, a respected woodblock printmaker and etcher, in a hillside village, in rural Nagano prefecture, Japan. 1983 First unit origami book published. 60 books now published, plus overseas editions (to Sept 2005). Israel: guest IOC convention, Dead Sea; individual exhibition Tel Aviv. Grzegorz Bubniak - graduated from Cracow University of Technology in departament of Electric and Computer Engineering and currently is working as an Electrical Cad Designer. As he says Origami became his biggest passion. For him the most important in Origami is not the difficultiness of folded things but ordinary beauty. Details are also what he pays great attention to. He is one of the founders of Polish Origami Association and a member of its management, more precisely the member of the Review Comission. I'm a mother of 3 children and grandmother of 5 grandchildren. 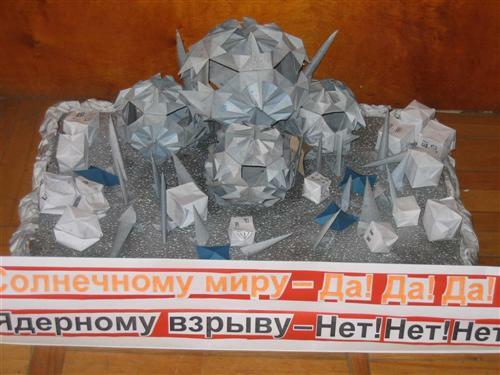 In Ozyorsk in honour of the 60th birthday of our town I organized "Origami art festival" which was held from November 9, 2005 till February 15, 2006. I also organized the 4th annual exhibition of origamists from the age of 4 till 85. About 500 people took part in it (19 organizations: kindergartens, schools, disabled children and grown-ups, "Magic pattern" club with their collections "Clothes of the future made in Origami technique", chorus and dance groups). 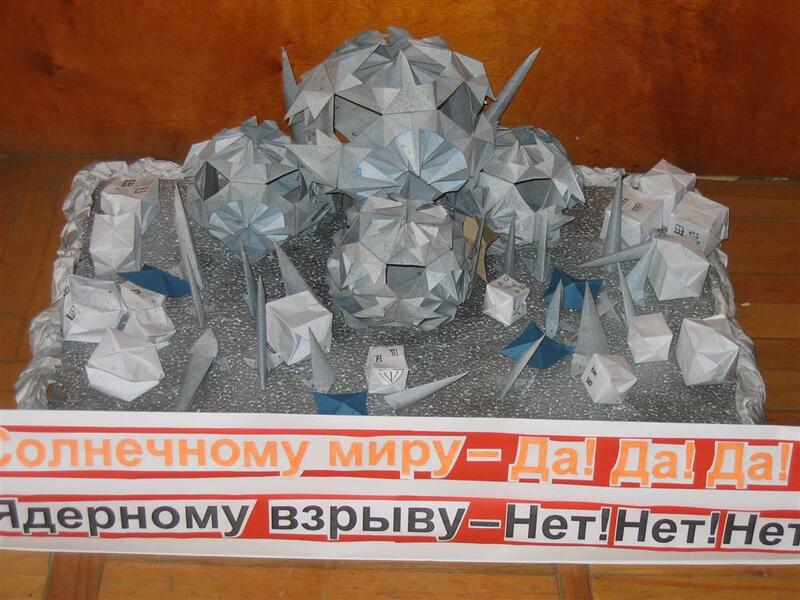 Before it I took part in the International project "Origami � the tree of peace", organized by the Levashov�s family from Novorossiysk in 2001. We are thankful to this family for the organized and holding of this festival. I organized a great number of consultations and seminars for parents, children and teachers. 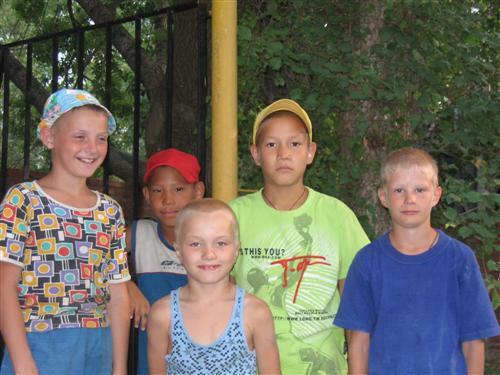 They were held in Ozyorsk and in some towns of the Chelyabinsk region, where pupils showed the performance "Origami and fairy-tales". I�m a teacher of art. I worked with the children from 3 to 18 at kindergartens, schools, boarding schools. If to compare the results of all the exhibitions I took part in I should say that quality and the number of exhibit considerably increased. Origami on the cloth and paper plating were introduced for the first time. Nowadays we have a lot of projects to attract children and grown-ups in the world of Origami. Hello friends, my name is Fernando Gilgado Gomez and I am going to tell you my incidents in the Origami World. Since childhood I was interested in doing things with my hands, and I had sometimes tried folding paper, but it was not until 1994 that I contacted the group of Madrid of the Spanish Association of Papirofl�xia. I discovered the incredible world of the paperfolding, wich ranges from simple toys for children to authentic artworks.Step by step I began to fold models by all the Origami Masters of the world, more and more complicated, until one day I invented my first model. It was kind of a hen I felt quite proud of. Nevertheless my favorite models are monsters and dinosaurs, so all my efforts were focused on creating this kind of models. In 1997 I published my first book, "Dinosaurios de Papel". It was a rough handmade book but it gave my models the chance to be known. It was also the book I carried to my first trip to an international congress in France, together with An�bal Voyer. It was an unforgettable experience, where I met lovely people which in spite of the distance share the same enthusiasm in folding paper. In 1998, after many hours in front of my new computer, I published a second book, this time dedicated to the monster subject. Thanks to it, people began to know me and I started friendly relationships by letter with people from all over the world (Australia included!). That same year and thanks to Dino Andreozzi's invitation, I had the chance to visit Sweden and at the first congress of this association. 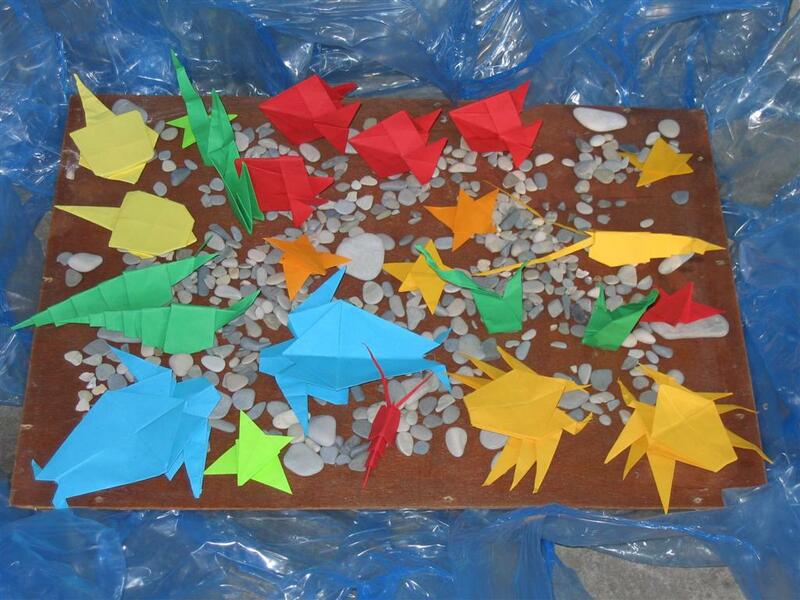 In 1999, moved by my interest in origami and its possibilities, I began to teach origami to children, through the AEP. 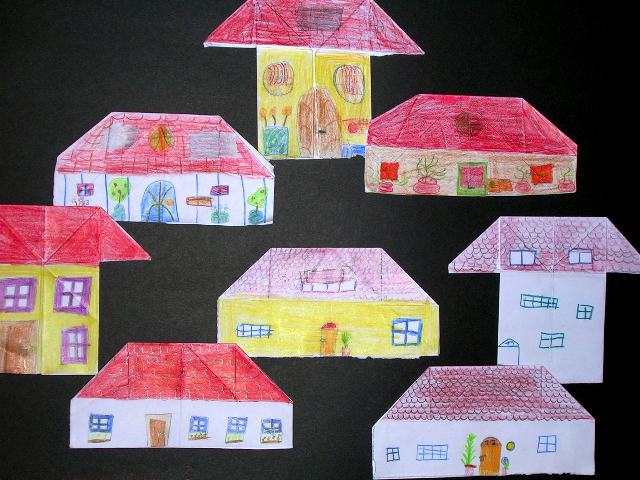 Teaching origami to small children is a very stimulating experience although high doses of patience are required. That year I also attended the congress of the French association of Origami again, thanks to Claudine Pisasale's invitation. In the year 2000 I attended as a guest to the 12? congress of the Origami Deutshland in Hohenwart, where I met great international origami masters and many German peopleThis year, together with great folders like Anibal Voyer, I published my first book with an Editorial: "Fantasias de Papel". In the 2001 I returned to the dinosaur subject and published another dinosaur book "El Gran Libro de los Dinosaurios de Papel" where I made a review to the Jurassic fauna. In the year 2002 I was lucky to be invited to the congress of the M.F.F.P. in France and to begin to collaborate with Ediciones Tutor in origami topics. Fruits of this collaboration are a new edition of my books of dinosaurs, as long as translations and even a DVD on origami. Nowadays I have pubished two new books, "Navidad de Papiroflexia" and "Papiroflexia M�gica", I hope you like it. Well, this is a broad outline of my experiences with origami. I hope you'll realize that a simple piece of paper is not only a passtime, but can also give you wonderful experiences and make you know tons of wonderful people all over the world. Irina is one of the founders of the Kyiv Origami Club and one of organizers of the first Origami exhibition in Kyiv, capital of Ukraine. 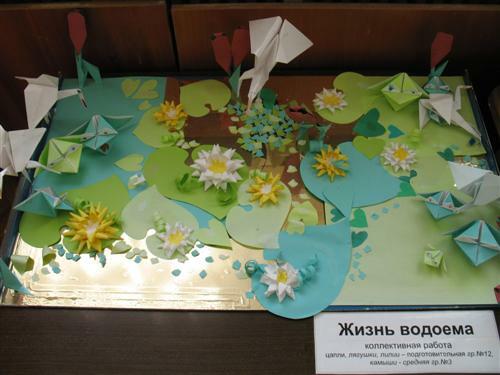 She takes part in several international Origami exhibitions. Born in Bramhall, Cheshire, north west England, on 6 July 1948, I first began to fold paper as a child. I quickly found that in origami, extraordinary results could be achieved with a simple sheet of paper. I was attracted then, as a child, because to get started I didn't need a large number of tools or equipment. This attraction still holds good today. During the early 70's, I worked away from home, spending evenings in hotels alone. It was then that I rediscovered my childhood interest of origami. I believe that the inherent restrictions of the square of paper and the unwritten rules of origami (in essence, not to cut, not to glue, not to decorate) encourage the origami artist to overcome seemingly impossible technical constraints. I like to draw parallels between origami and music, climbing mountains and cigarette advertising (!) In all these areas, the restrictions faced by man have stimulated extraordinary solutions. In short, restriction yields richness. Even after decades of folding paper, I am still intrigued by the endless possibilities available to the origami artist. I gain immense pleasure from seeing and discovering new interpretations of over-familiar subjects and techniques. Unexpected movements in the paper during the folding intrigue me, and I am attracted by the warmth and tactile quality of this material. Respect for this fragile medium is the key to sensitive finished results. To obtain good form and volume by design, not by excessive thicknesses and waste. I have found that lessons learned in one activity, or indeed in life, frequently give benefit elsewhere. Thus my experiences as a painter have helped my origami work, and vice-versa. In painting, as in origami, I believe honesty to the medium is paramount: the finished painting must look like paint, and the completed origami design must show delight in the qualities of the paper and the texture of the folds. Kathy's initial interest in folding was sparked in her high school chemistry class when her lab partner taught her to fold the inflatable rabbit. Nearly two decades later, her son taught her to fold the crane and introduced her to the word Origami. Kathy is married, the mother of three and the grandmother of three. Kathy has a BA in nursing, is a Master Trainer for the Girl Scouts, and spends much of her time as a volunteer for her church and for numerous charitable organizations. In 1989, a local museum asked Kathy to teach children how to fold the crane, and this was the first of many training sessions where she has shared her love of Origami with numerous local schools, scout troops, church and arts organizations. Since there is no local origami group, Kathy had to teach herself to do many folds from books and in the process, has acquired a substantial library of origami books and related information. 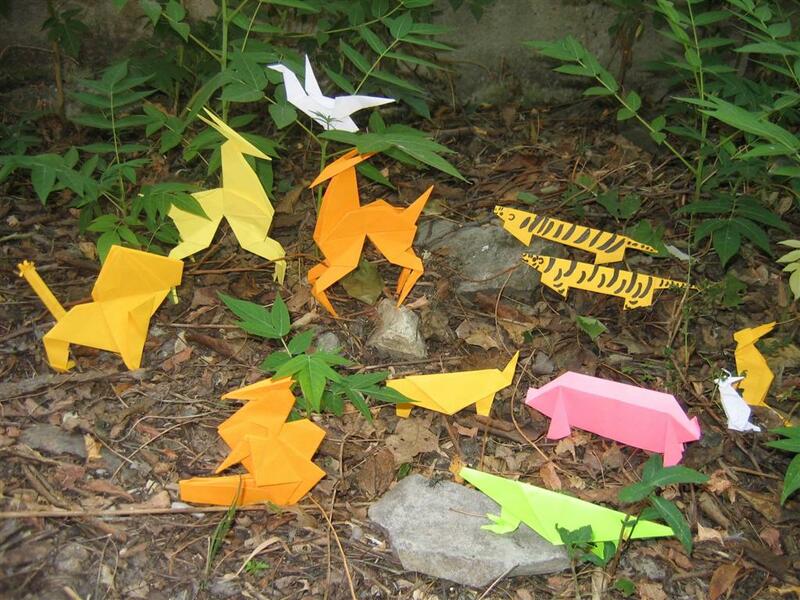 Kathy recently joined the British Origami Society and Origami USA , and is planning to organize a local group. 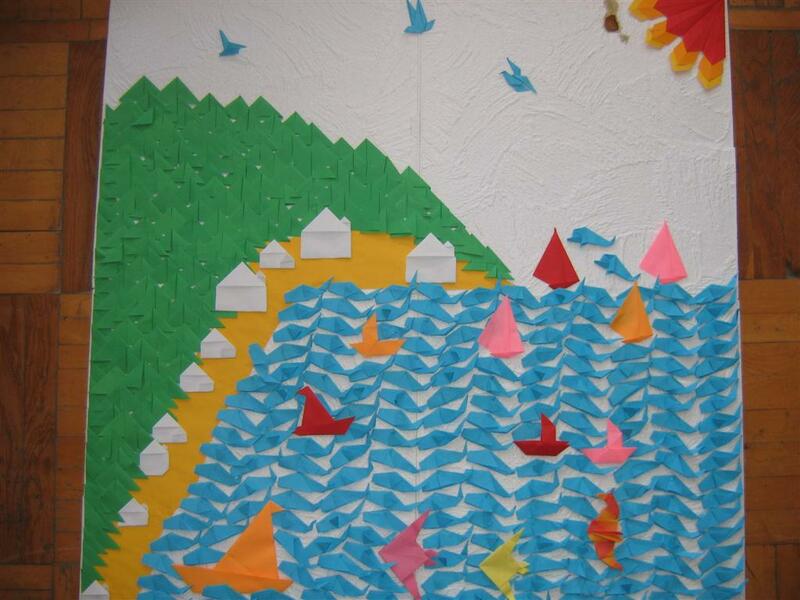 She is a participant in the Origami Peace Tree Art Movement (Origami Peace Tree Project).